The short, written by David Lemon and directed by Lianos, was made in conjunction with SkyMovies back in 2010. It features Alice Lowe as a Grim Reaper, bored of her 9-5 job, and looking for love. Also featuring were Tom Meeten, Justin Edwards, Clare Thomson and Missing Scene co-creator turned internet legend David Bussell. 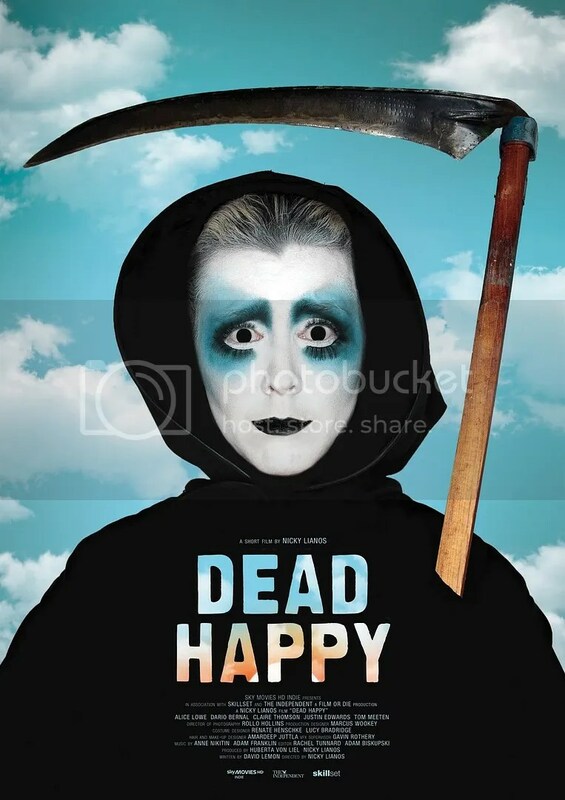 We fell in love with Dead Happy (and Lianos previous short with TVO connections, Monsters And Rabbits) when it was released three years ago, and followed its progress from SkyMovies airings, through to film festivals and eventually iTunes last year. Now the short gets a US release somewhere that doesn’t fill Apple’s pockets, so those of you who think iPhone, schmiPhone, can download it via Amazon.com for just $1.99 right over yonder. You can see a preview clip below. UPDATE: The short is now on Amazon UK too!